The Vice President stressed on the need to address the menace of terrorism; India thanked Belgium for its support to India’s candidacy at the UNSC for 2021-22. Vice President of India, Shri M. Venkaiah Naidu who is presently in Brussels to attend the ASEM Summit 2018, called on His Majesty, King of the Belgians at the Royal City Palace earlier today. He recalled the friendly ties between the two countries based on shared commonalities and commitment to rule of law, pluralism and federalism. The two leaders discussed their expectations from the 2018 Summit which is centered on the theme, "Global Partners for Global Challenges”. His Majesty, King Philippe had hosted the ASEM Summit in 2010 when Belgium had held the rotating Presidency of the European Union. Vice President elaborated on the priority accorded by India to the urgent need for collective efforts of the global community in addressing the menace of terrorism. He also shared his perspective on the successful flagship initiatives of the Government of India including innovative governance to address the complex challenges faced by India as the world’s largest democracy and to simultaneously put India on a faster, inclusive growth and development trajectory. India thanked Belgium for its consistent support for India’s candidacies at the UN and other international organizations. 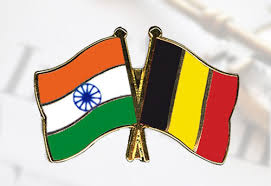 India also thanked Belgium for its support to India’s candidacy at the UNSC for the term 2021-22. Both sides expressed their commitment to boost investment, trade and people to people ties. Vice-President and the King of the Belgians had previously met during the State Visit of Their Majesties The King and Queen of the Belgians to India in November 2017.